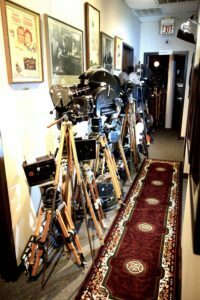 We have been experts in the arena of antique and modern motion picture equipment for well over 50 years and have an ongoing dedication to these iconic items. We have great interest in curating, consigning, trading for and buying early and mid-century production equipment from cameras to lighting instruments to microphones to actual film on reels and associated movie studio equipment & artifacts. Let us know if you have any items for sale or in need of correct refurbishment or preservation. We can gladly arrange for shipping from anywhere in the world. 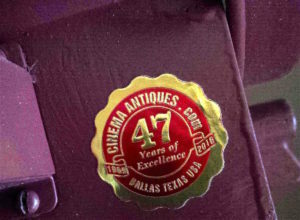 If you are selling a particular cinema related antique or item, please let us know all of the specifics. Are you prepared to consider consigning the item to us? Are you the legal owner at this time? We will look over your request and will make a note of your items for sale or call, or e-mail you immediately with our opinion on how to proceed. We will do our best to help find a new home for your items. Remember, we are always buying, consigning, selling and trading Cinema Antiques. If our popular consignment program is of interest, please email and ask how it would work for you. Please contact us if you have anything for sale.